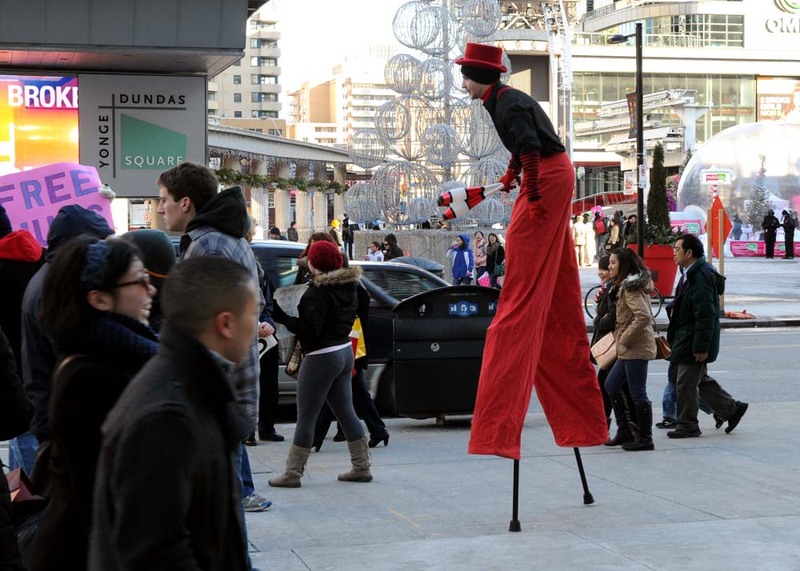 A cheerful group of young people set up shop outside the #Toronto Eaton Centre and offered Free Hugs as a Buskertainment performer on stilts walks through the same area. Posted by Joe Hamilton. 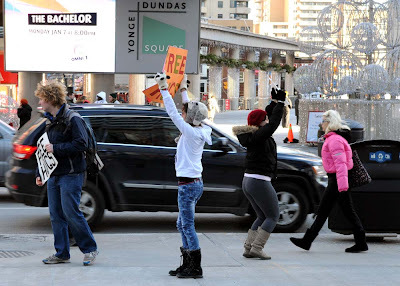 So, I have decided that to brighten up people's days, to warm their hearts, and to spread some of that good old holiday cheer that we should give out FREE HUGS TO EVERYONE!!!!! I recommend that for this event to bring warm clothing as it will be taking place OUTDOORS and it will likely be rather cold. For those of you who are up to it, however, we can go grab hot chocolate afterwards!